There were a lot of really great smartphones in 2012, many that pushed the boundaries of what we thought was possible—a sure sign of innovation and forward momentum. We saw the introduction of quad-core devices, phablets, sharper screens, better cameras, and designs that melted our eyes. But, without a doubt, tablets were the more exciting segment of the technology market. We didn’t just see a lineup of forgetful me-too devices. Companies actually came out with thoughtful, powerful, and beautifully designed slates. Cheap ones at that. Consumers will finally have to think about what tablet they want to buy, instead of just heading to an Apple store as default. But easily the best part is is that there’s now something for everyone, with almost any budget—the media hound, the business man, the road-warrior, the spec fiend, and the everyman. 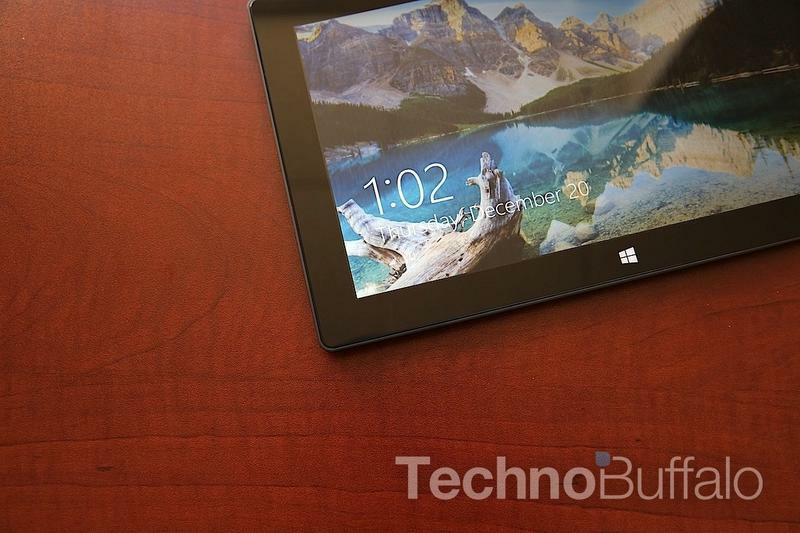 Here’s to the five most exciting tablets of 2012. This year, companies finally came up with their own unique recipes worthy of toppling Apple’s mighty iPad. This year, tablets came of age. The Surface is an astonishing, confounding achievement; a superior specimen of thoughtful engineering designed to showcase the company’s brand new tablet software, Windows RT. Out of everything that’s happened this year—maybe the past few years—you can argue that Microsoft’s Surface announcement (and maybe entire year as a whole) was one of the more surprising we’ve seen. We’d heard rumors of some mysterious device being welded by Microsoft earlier in the year, something simmering in the gullet of the company’s Redmond labs. But this? The Surface isn’t just a tablet—it’s different and brave, easily one of the more intriguing devices currently available. That in no way means it’s the best, however—it’s definitely not. More than anything, Microsoft’s slate is a step toward the next frontier of tablet technology, an imperfect look at what could be. While Amazon is creating devices to consume, Microsoft is deviating from the busy highway of iPad success, and instead exploring where companies have yet to tread—that existence in between tablets and laptops. Ultimately, Apple had to do something, come up with some kind of answer—it couldn’t afford to ignore an entire market segment. So the company swallowed its pride and charged right into enemy territory essentially wielding a shrunken iPad 2. But that’s not giving what Apple’s done enough credit. 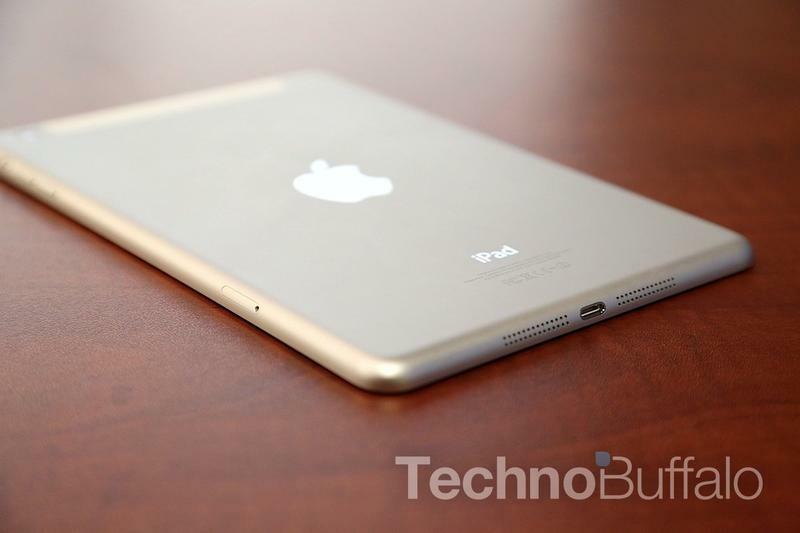 The iPad mini isn’t a thrown together afterthought of leftover components. This is, unquestionably, the company’s best looking tablet, a combination of Apple’s evolving engineering ideals. The design is sort of iPhone 5/iPod touch mixed with some iPad. It measures in at just 7.2mm thin, sports a 7.9-inch display (but don’t call it a 7-incher! ), and has a side bezel that’s barely a bezel at all. Everything else is signature iPad: home button, headphone jack, power button, etc., etc. All of that together, wrapped in a black anodized package (or white, if you prefer) somehow creates an iPad experience unlike any version before it—though the software experience is resolutely familiar. You don’t think you’ll be surprised by the mini’s size, but you will. It’s palm-able—not quite like a Nexus 7 or Kindle Fire HD 7—but you can easily hold it one-handed because it’s perfectly balanced and weighted. It doesn’t match either competition spec-for-spec, but it’s backed by the largest tablet ecosystem around, put out by the most valuable company in the world. 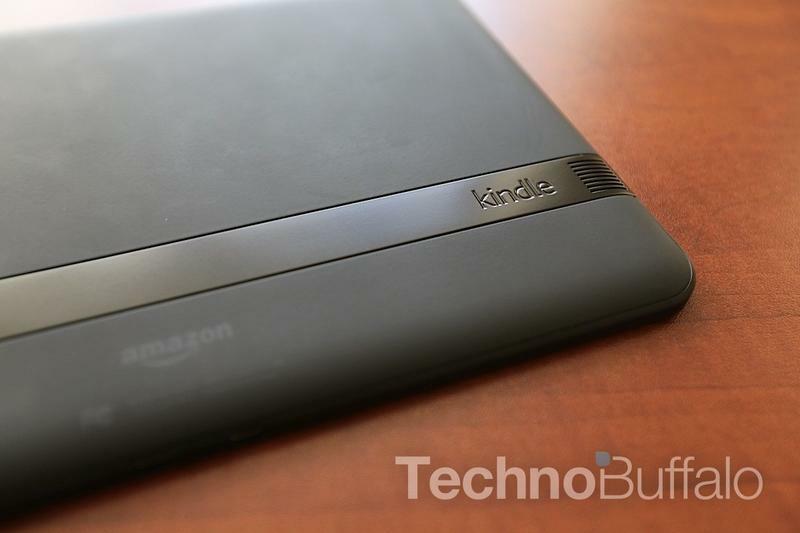 When Amazon introduced the first Kindle Fire, its biggest attraction was the price. For $200, it more than halved the cost of Apple’s iPad, causing consumers to think twice about what they wanted in a tablet. In the end, however, the price was the only notable thing about it. The device managed to attract a respectable following, but its presence didn’t exactly cut away at Apple’s incredible dominance. It was never going to. A year later, and Amazon’s approach has evolved, been refined. Its new lineup of Kindle Fires is smarter, better spec’d, and shows that the company has the ability to compete in the tablet space. The Kindle Fire HD 8.9 is especially great—wonderful design, beautiful screen, and impressive ecosystem. It’s extremely thin and light, making it impressively comfortable to hold, feeling solid, fortified. Its software, unfortunately, is the device’s biggest drawback. Amazon has mutilated Android (this time Ice Cream Sandwich) in such a way that actually limits the device’s capabilities. Yes, it paves a path to media very well. But beyond that, the Kindle Fire HD 8.9 isn’t really a power device—not in the way it could be. Worse, its app selection, while passable, isn’t up to snuff with the competition. This one had to be on the list. This is precisely what Android tablets needed to get out of the iPad’s immense shadow. Something cheap, something that feels wonderful to hold, and something truly and amazingly powerful. Specs, software, and price; three ingredients to successfully make iPad kryptonite. In the months since the Nexus 7 launched, its been a hot ticket for Google, something that forced Apple to respond with a small tablet of its own (which in itself is a big deal). The Nexus 7 isn’t some jalopy at Going Out of Business prices. Google and Asus squeezed some bonafide specs into an attractive slate running the best version (at the time of release) of Android. Power, flexibility, and ecosystem; more ingredients and more kryptonite. Following Amazon’s smart lowball approach, Google found a way to get consumer attention, a foot in the door. But the company did one better—this wasn’t just some false sales pitch that didn’t deliver the goods. Android Jelly Bean is an excellent mobile OS that’s dense with deeply unique features, even if at times Google’s project seems too robotic. This one is the youngest among the group, and probably the dark horse, too. Not because it doesn’t have the chops to compete, or a considerable amount of resources behind it. 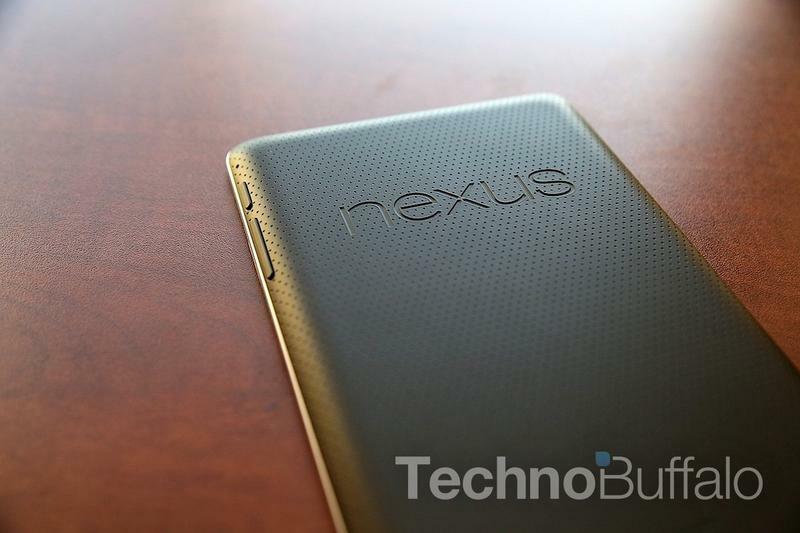 But it saw a much quieter release next to the Nexus 4, without a proper announcement. And even still, everyone’s eyes are glued to the Nexus 7 as far as Android tablets are concerned, which has been at the center of Google advertisements. 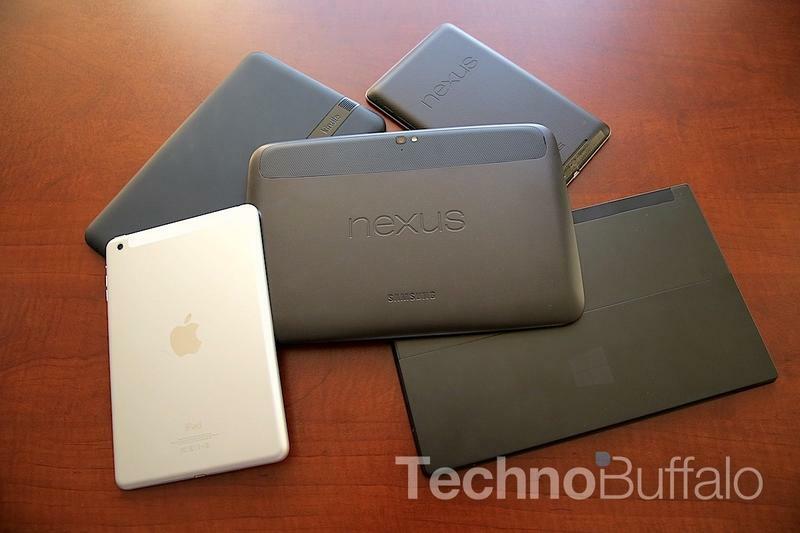 Still, the Nexus 10 is just as exciting as the other four on this list. What’s particularly exciting about the Nexus 10 is its high resolution screen—the highest of any tablet on the market. Of course, that’s not its only defining feature. In partnership with Samsung, the slate sports a terrific build quality that’s sturdy, light and very thin. Holding it feels right. It’s not overly heavy, meaning long bouts of Netflix or reading is no problem. If you’re vehemently opposed to Apple’s iPad, and prefer a larger form factor, this is the best alternative, hands down. Not only is it extremely powerful, but it’s heart and soul is Android, which has quickly closed in on iOS with its ecosystem of content and selection of apps. Developers still largely release their content first (or exclusively) on iOS, so Android still has that hurdle to overcome, but the OS as a whole is incredible. This is only $399, which undercuts Apple’s fourth-gen iPad by a full $100. That’s a huge deal for some people who prefer not to pay that Cupertino premium. 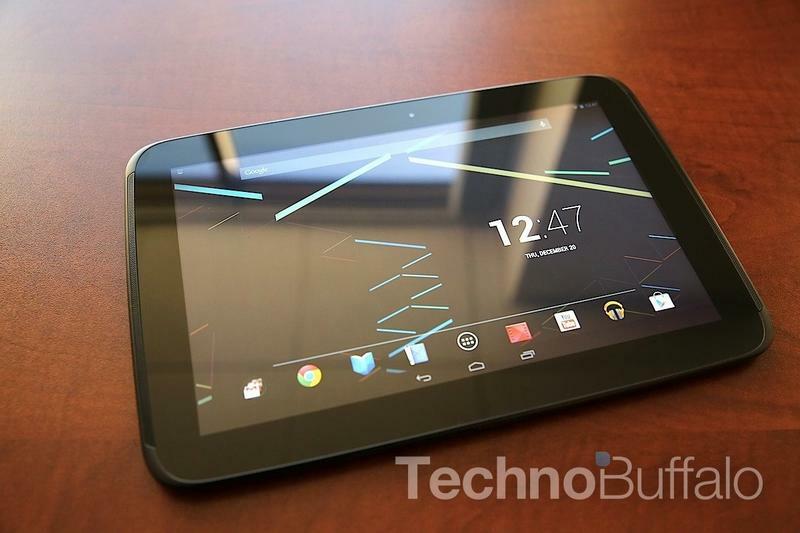 The Nexus 10 isn’t a perfect specimen of design, or function, or selection. But it’s as close as an Android tablet has ever been in this size. Google’s excellent tablet isn’t just a no-named bad guy that Apple’s iPad has been disposing of these past few years; it’s a bonafide boss, a major protagonist in the fight of iOS vs. Android.